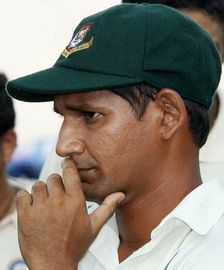 Former Bangladesh captain and current national selector Habibul Bashar talks about the early inspiration in his career, the travails of leading Bangladesh in the first 7 years of its Test status, Bangladesh’s first Test win, the fall out from World Cup 2007, and the current team led by Mushfiqur Rahim. This entry was posted in Couch Talk, Featured and tagged Bangladesh, Captaincy, Couch Talk, Habibul Bashar, Podcast, World Cup 2007, Zimbabwe. Bookmark the permalink.